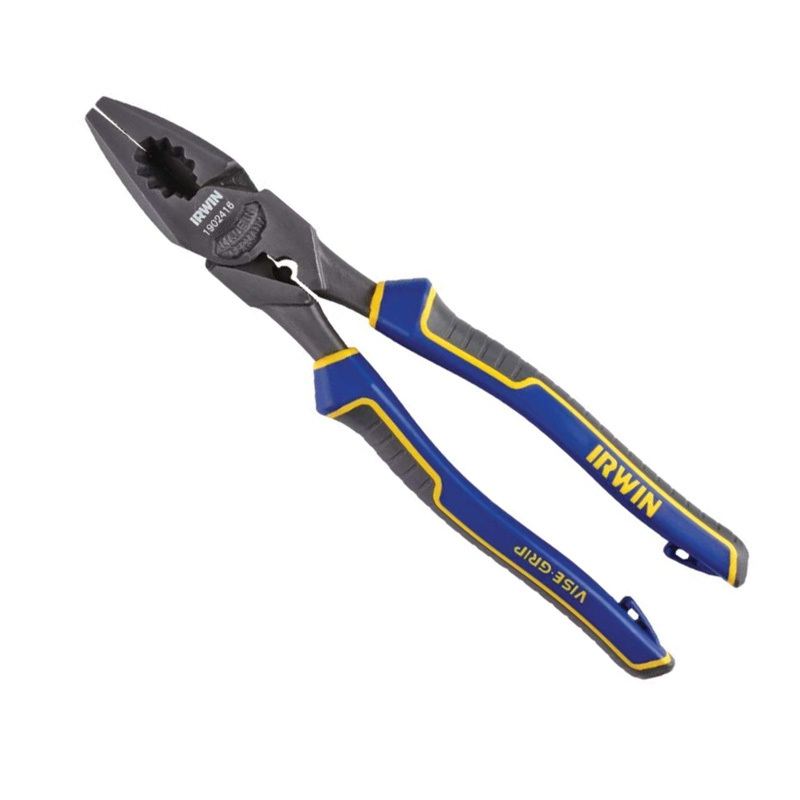 IRWIN Tools VISE-GRIP Max-Leverage Pliers, Lineman’s, 8-inch (1902414). Induction-hardened cutting edges cut the toughest materials, including ACSR, nails, screws and even piano wire. Coated for superior rust resistance. The handles feature a 3-component molded grip contoured for optimal cushion and control, allowing the user to make more cuts comfortably. The exclusive hook and lanyard system lets you attach pliers to help prevent accidental drops and provide easy retrieval from pouches or pockets. Made in Solingen, Germany. Backed by the IRWIN lifetime guarantee. 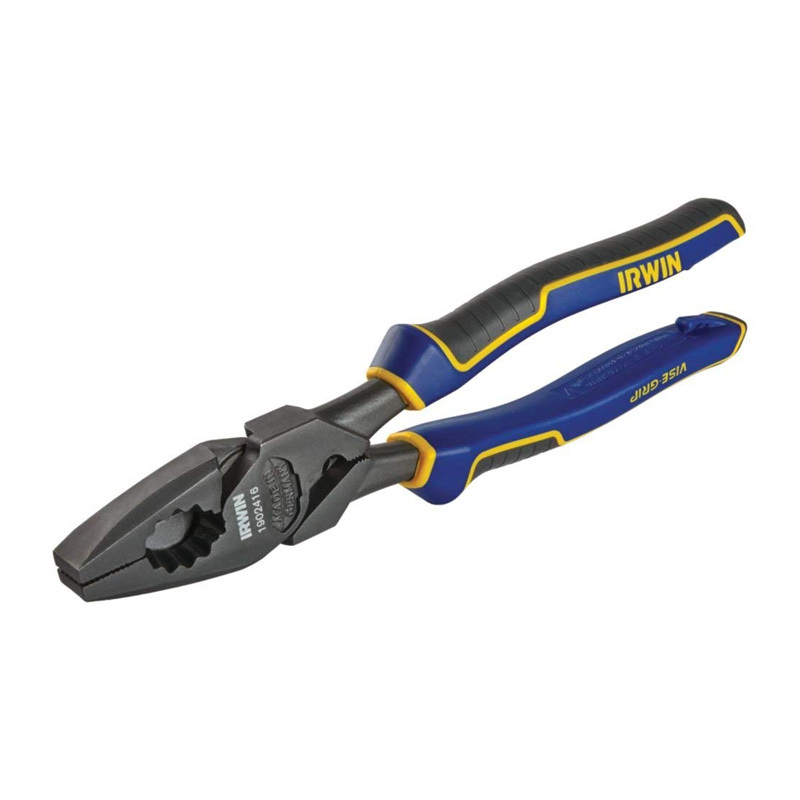 IRWIN’s performance pliers are made from forge to finish in Solingen, Germany, a town famous for metal-smithing for hundreds of years, using the highest-quality materials and the latest in precision engineering technology. 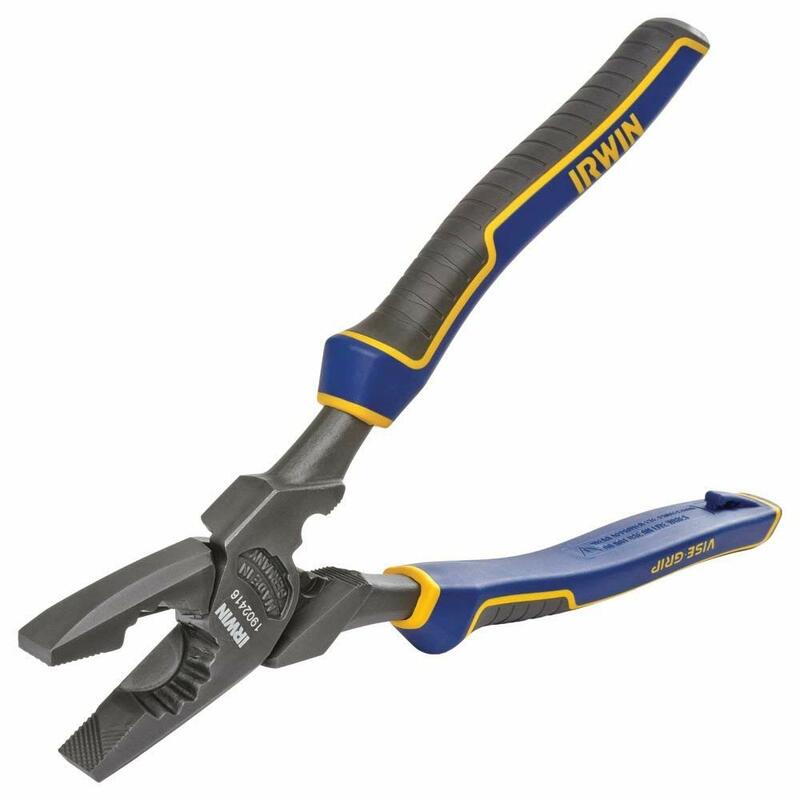 These high-quality tools are just one of the most recent products of VISE-GRIP’s 90-year history of innovation, going back to their invention of the first locking plier in 1924.